Utair, one of Russia’s foremost airlines, which has reported a loss of 4.4 billion roubles in 2018, blames an “explosive increase” in fuel costs as the main cause of the negative financial result. Rising fuel prices meant that the company paid some 3.1 billion roubles more for kerosene in the period. Fuel expenses in the 12 months jumped by 3.9 billion roubles, of which 3.1 billion was related to rising fuel prices and with only 800 million roubles down to the extended flight programme. In 2018, Utair suffered a loss of 4.4 billion roubles in comparison to the 931 million roubles of profit in 2017, according to the company’s Russian Accounting Standards latest financial report. It shows that the carrier’s revenue turnover totalled 58.5 billion roubles, 6.4 per cent more than a year earlier. In the period, the airline’s passenger traffic increased by 8.7 per cent, an improvement largely due to the further development of Utair’s regional flight programme and despite an almost constant fleet supplemented by the addition of just one Boeing 737-800. Average passenger load factors improved by some 4.4 per cent last year. The airline also reveals that a sum of 1.5 billion roubles was lost in the summer peak season because of a critical shortage of pilots. Ernst & Young, independent auditor of the airline’s financial statement, notes in its conclusion that the carrier’s net asset value was “negative at 15.5 billion roubles” at the end of 2018, a situation which is worse than in the previous two years. In 2016, the negative net asset value totalled 12.44 billion roubles, and in 2017 it was 11.3 billion. The auditor also notes that current liabilities of the airline exceed its current assets by 45.65 billion roubles. An explanation in the financial statement claims that the company has a significant debt “that cannot be repaid without refinancing or restructuring“. These factors are indicative of “material uncertainty that may cause significant doubts about the ability of the company to operate as a going concern,” the auditor warns. Russian air transportation industry data illustrates that 2018’s unprecedented losses were brought about by the combined influence of rising jet fuel prices and the weakened rouble. According to preliminary estimates, Russian carriers’ total losses amounted to about 50 billion roubles last year. 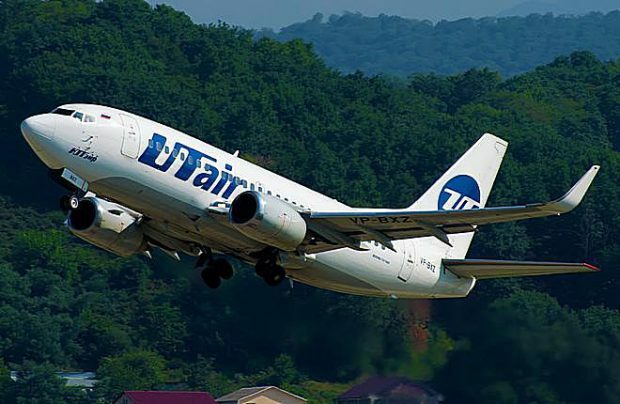 Right now Utair is negotiating the restructuring of 38.6 billion roubles of its loans with a syndicate of 11 banks (the largest being Trust, Rossiya and Sberbank). At the end of last year, the carrier failed to repay a syndicated seven-year loan totalling 18.9 billion roubles. At one of the meetings with the banks, the airline asked to write off more than 30 billion roubles of debt, pointing out that it may not be able to manage its debt burdens and would have to cease business.